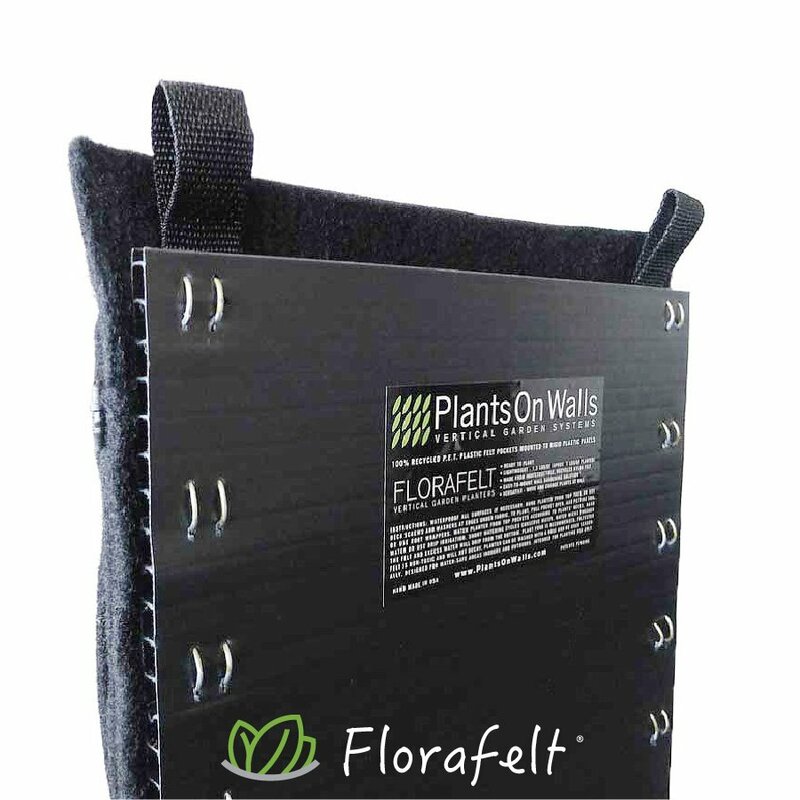 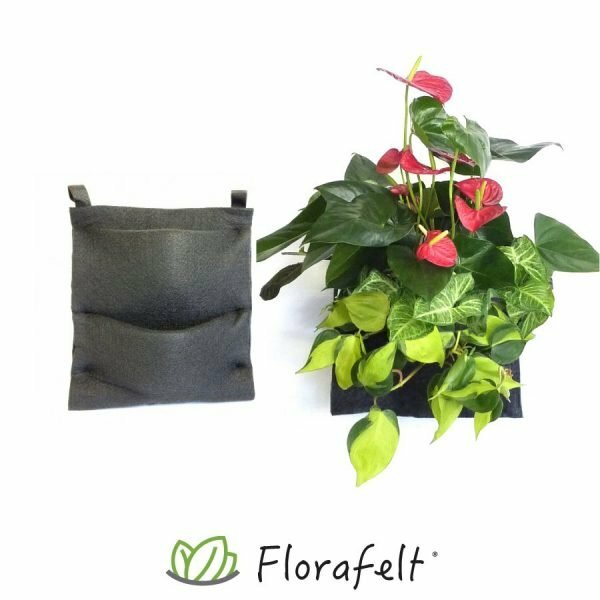 Create beautiful vertical gardens and living walls with our patented pleated felt pocket system. 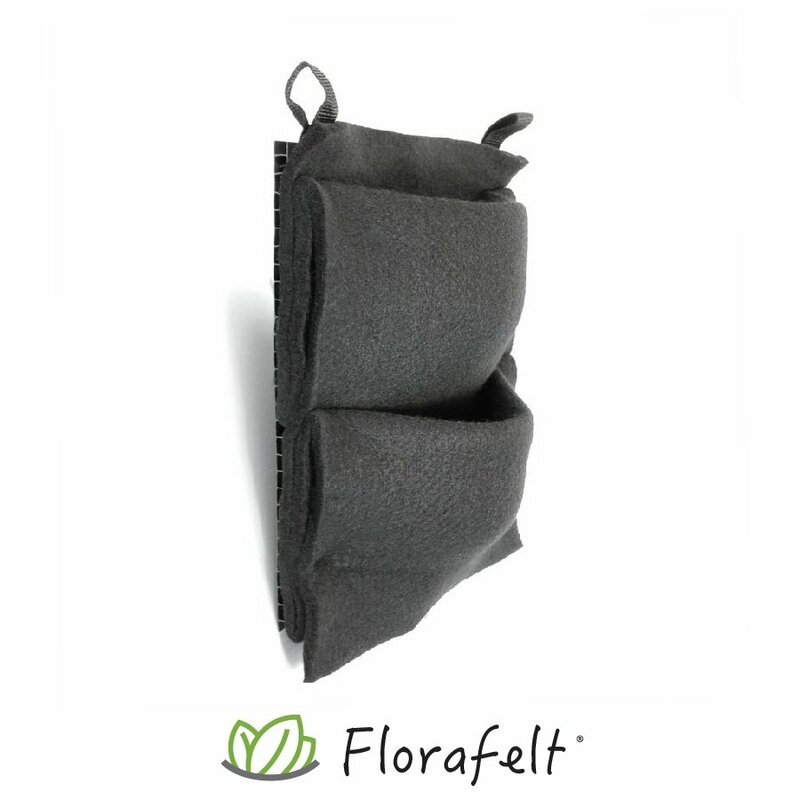 The felt is made from recycled plastic water bottles, a non-toxic fiber that is indestructible and tough. 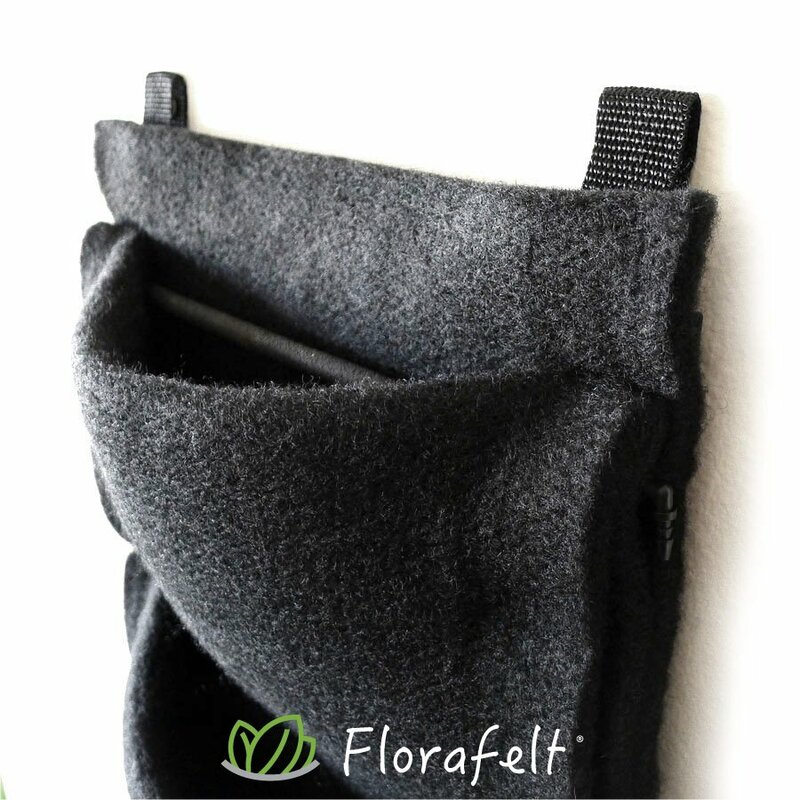 Over time roots grow into the moist felt. Felt pockets stretch open to receive 4 to 6 inch potted plants. Each pocket is 10″ wide by 6″ deep. 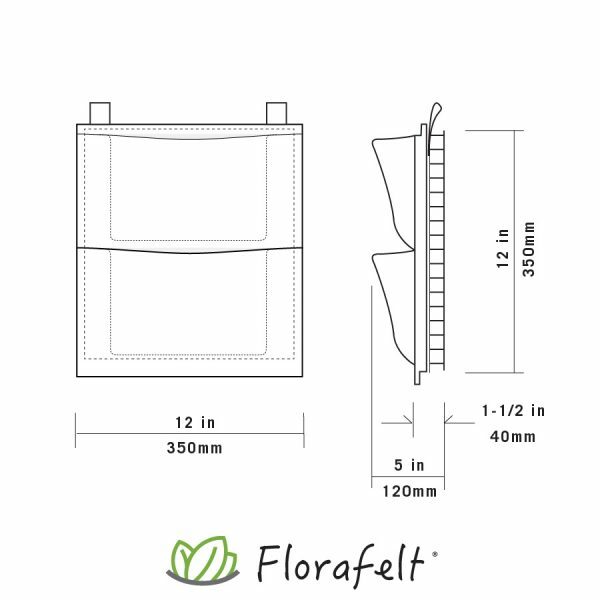 Included Root Wrappers make it easy to change, arrange and handle plants. Hand water or connect to automatic drip irrigation systems. 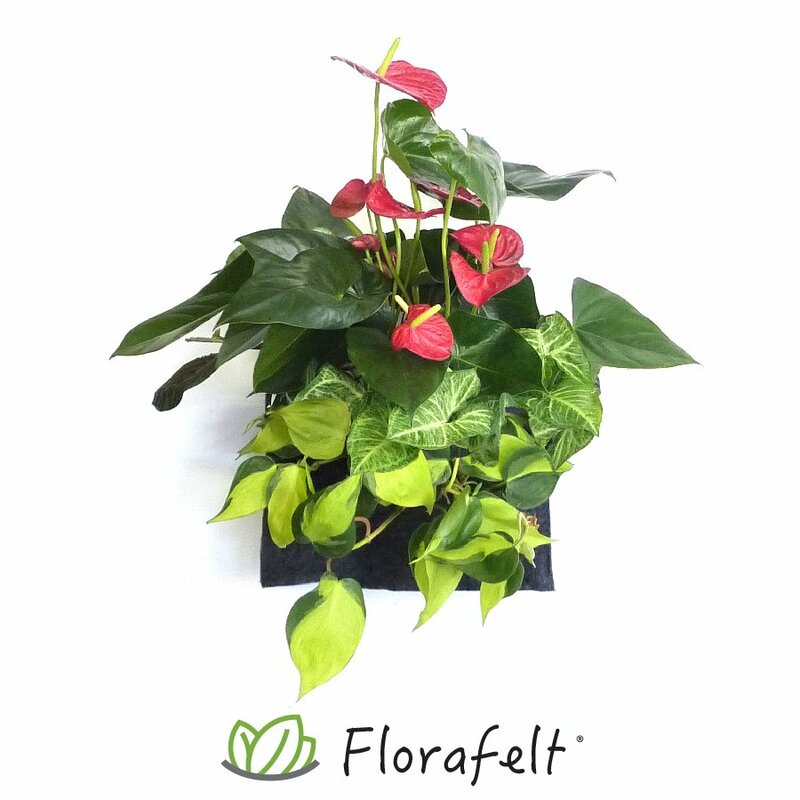 Create living walls of big or small.